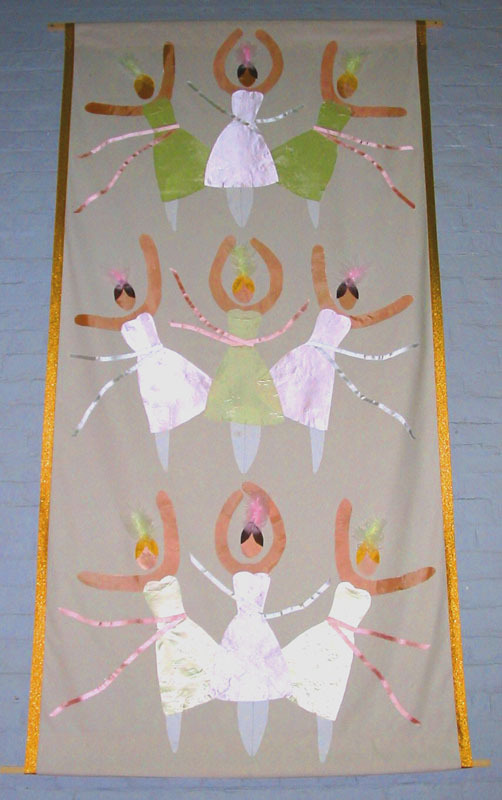 The brief was to design something traditional for the main hall and something more modern for the foyer, landings and windows. 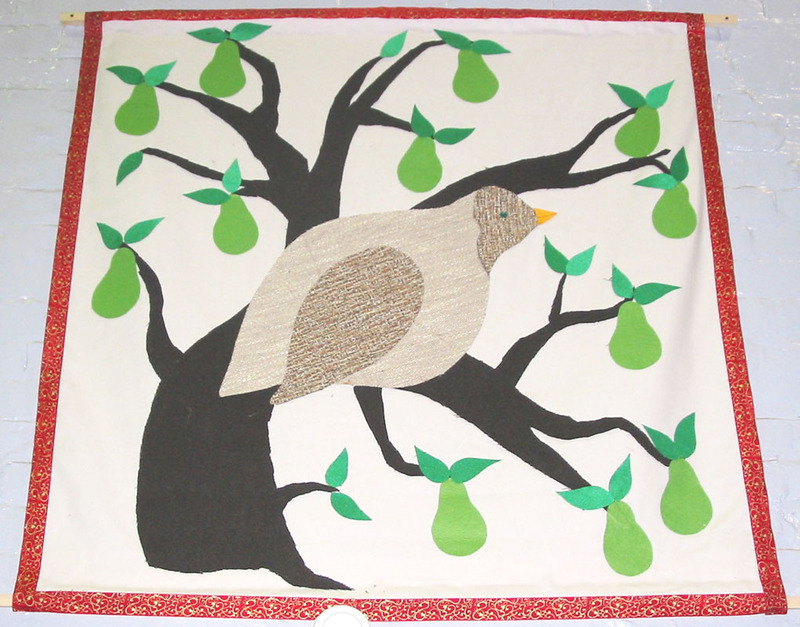 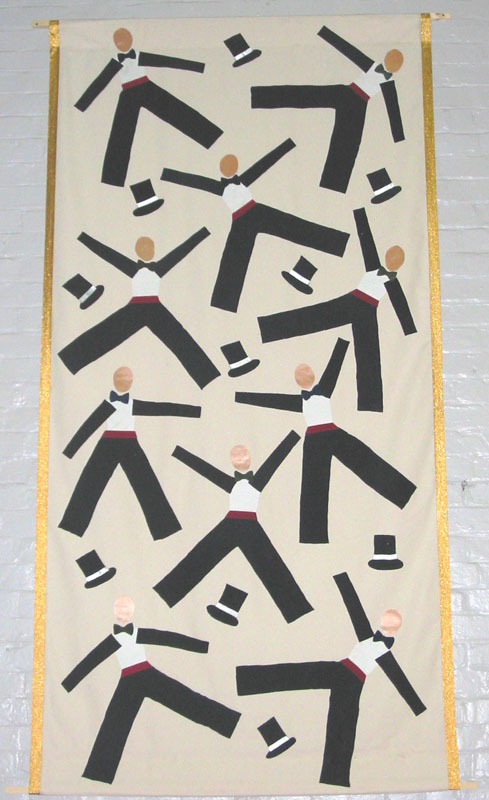 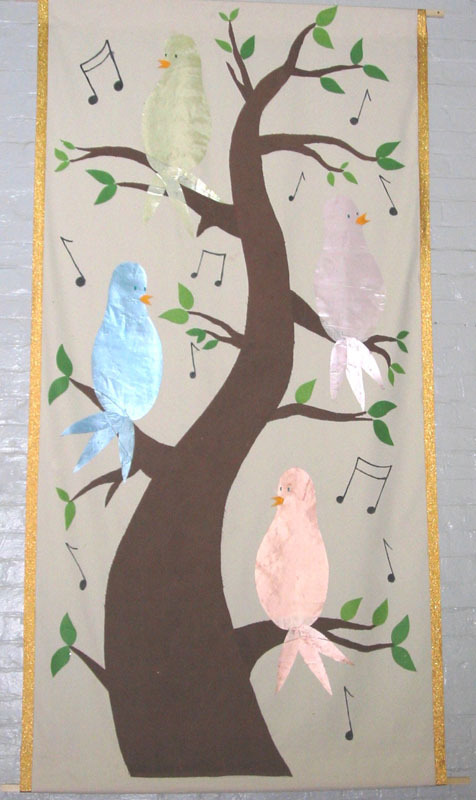 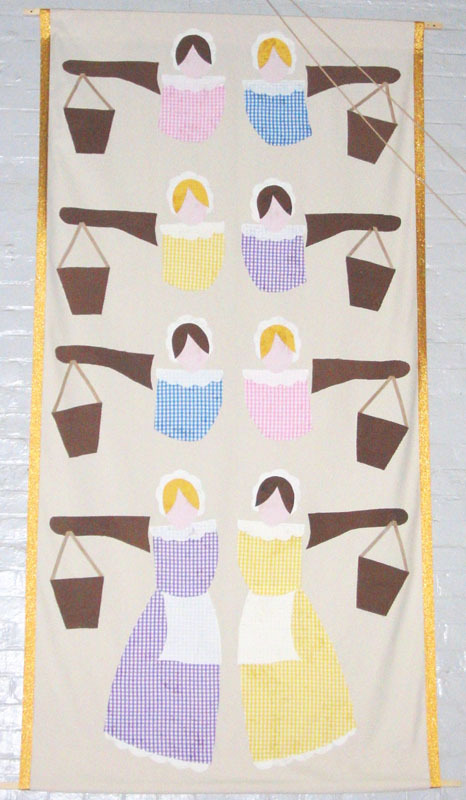 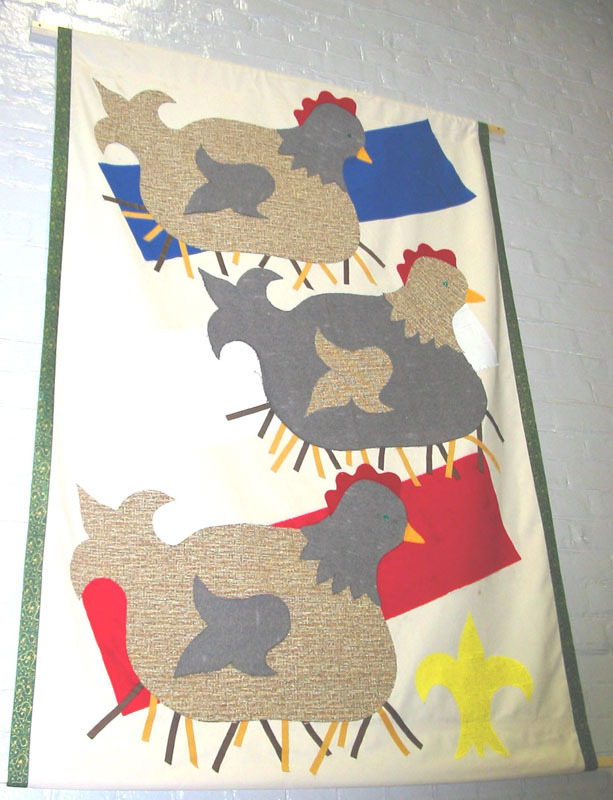 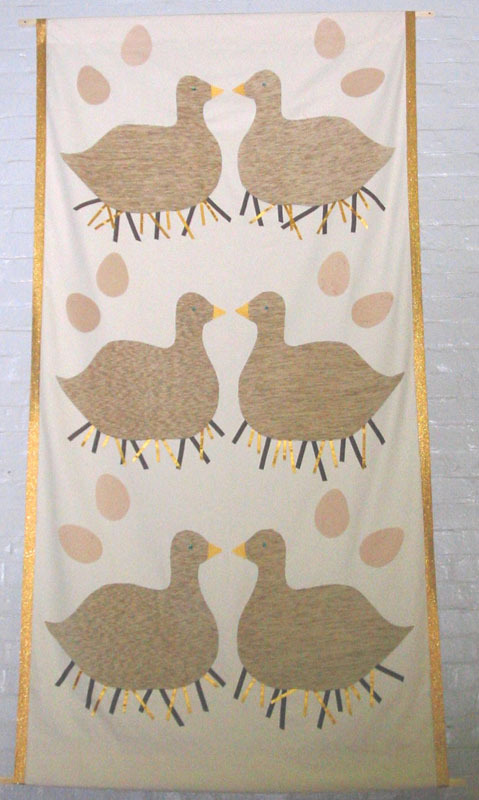 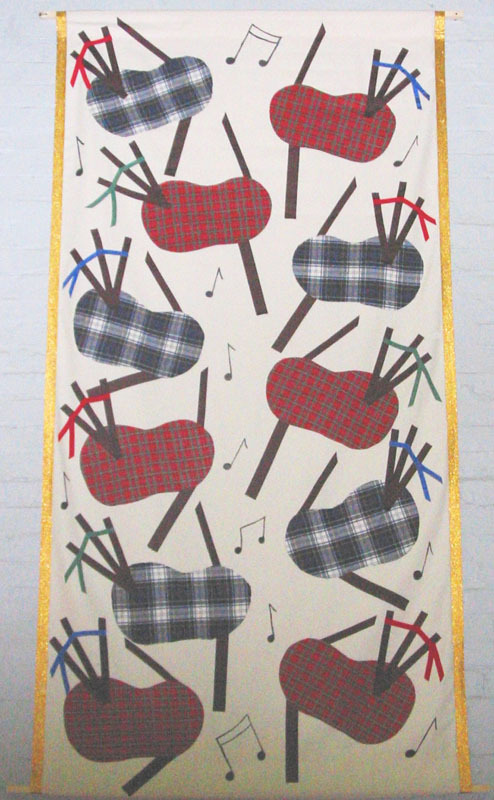 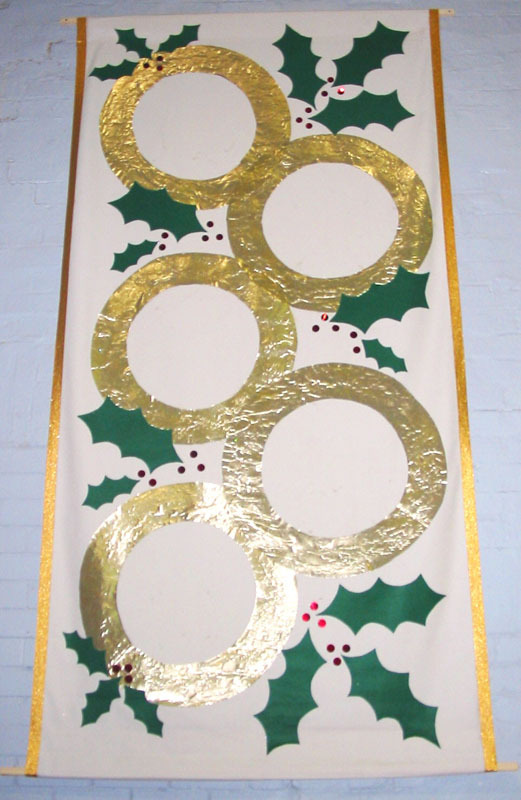 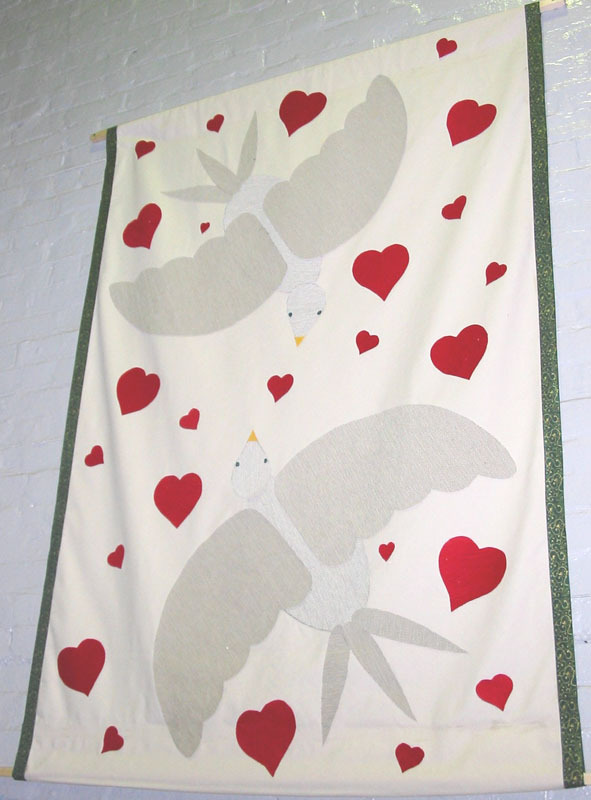 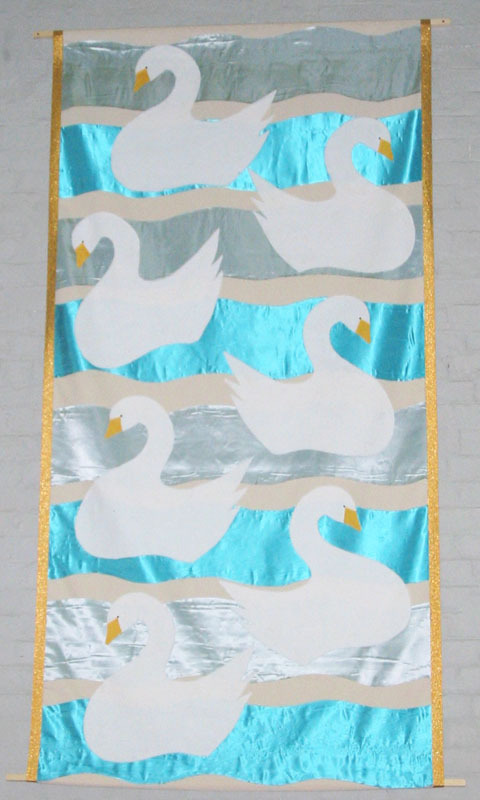 I chose to create banners representing the 12 Days of Christmas in a collage of fabrics for the main hall. 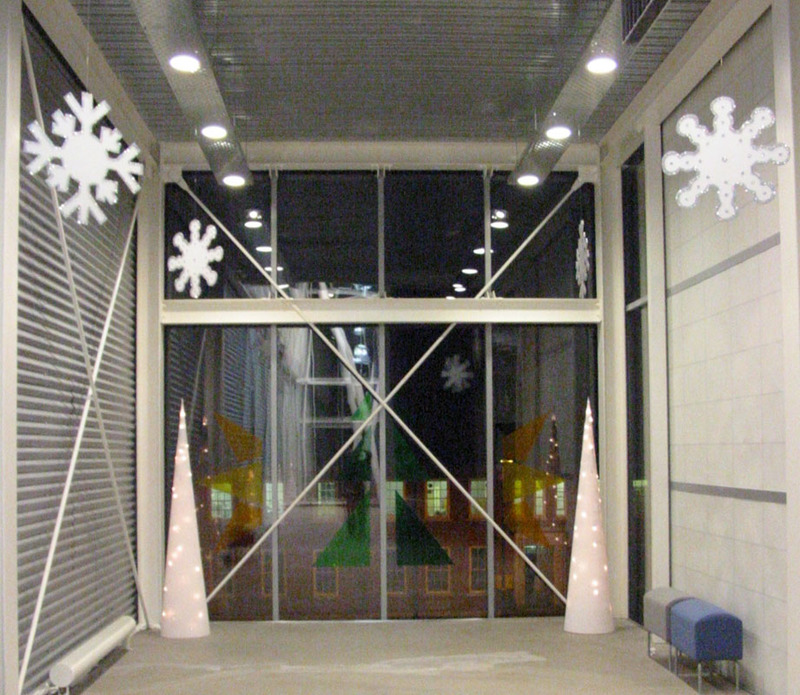 I designed simple images for the glass lift doors, windows and reception which were cut from lighting gel to resemble stained glass. 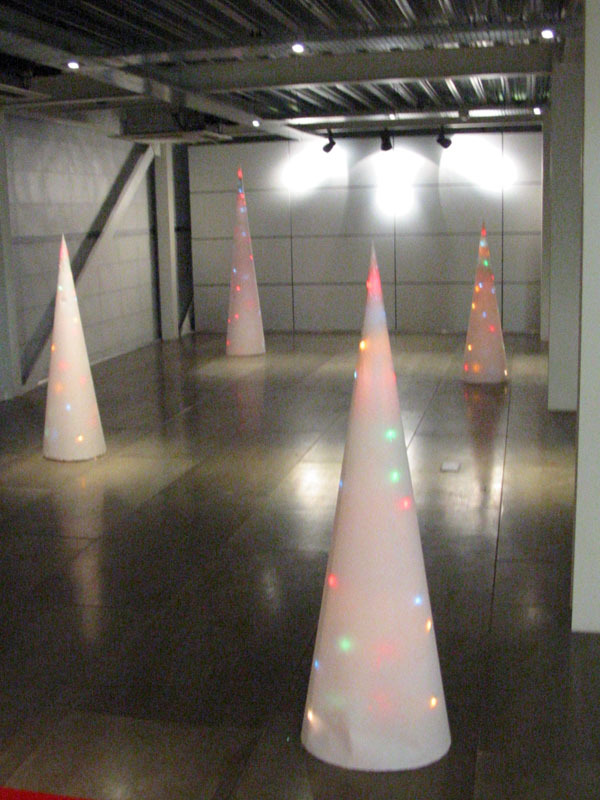 I also made a series of white cones of various heights lit from within by white or coloured fairy lights. 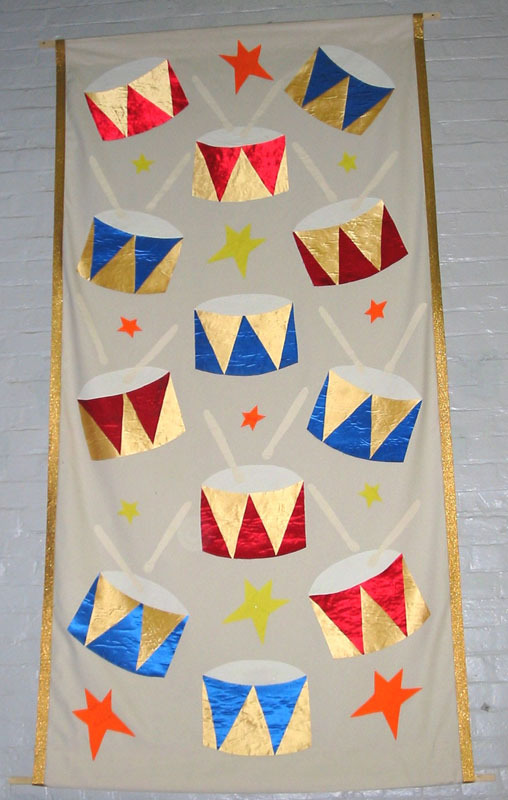 These were used to dress the foyer and landings. 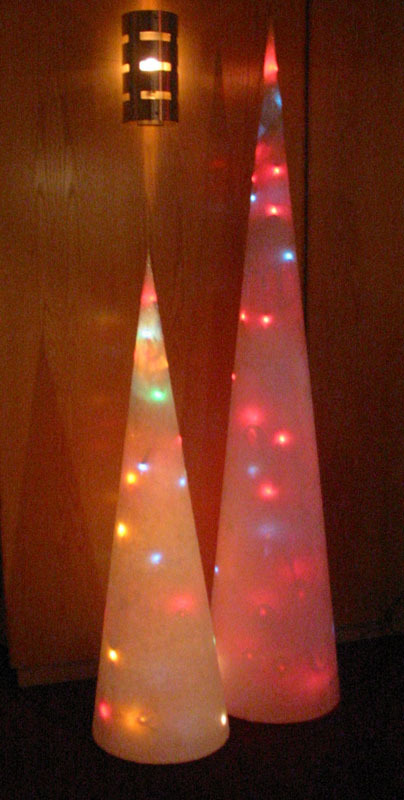 I made tall cylindrical lights from the same material for the main hall. 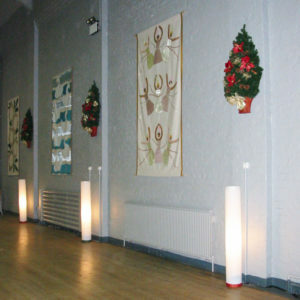 The wreathes were made by a local florist. 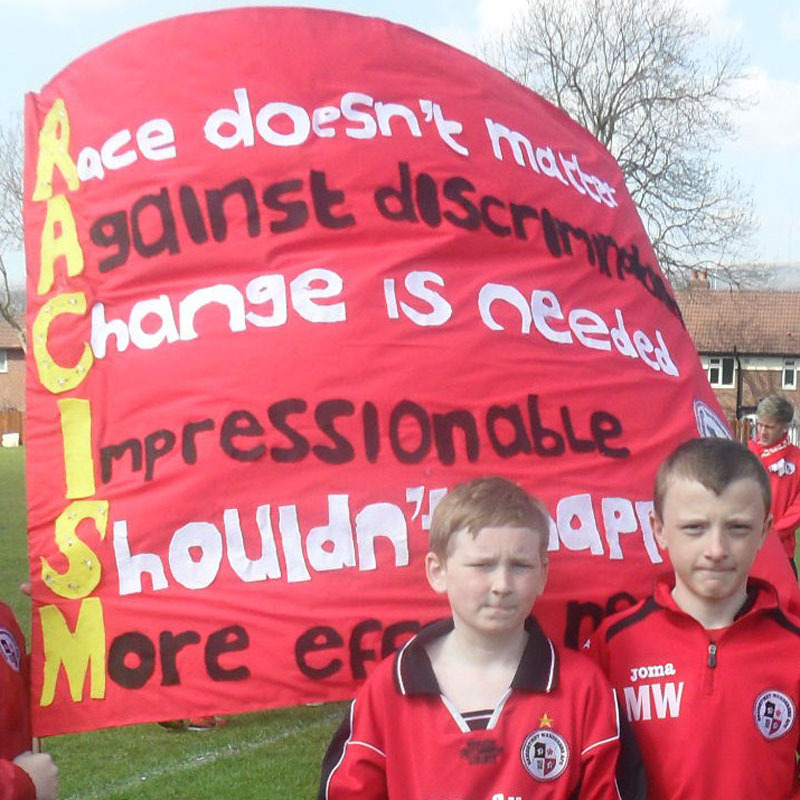 Breightmet Wanderers Athletic Football Club wanted to take part in a march against racism in football. 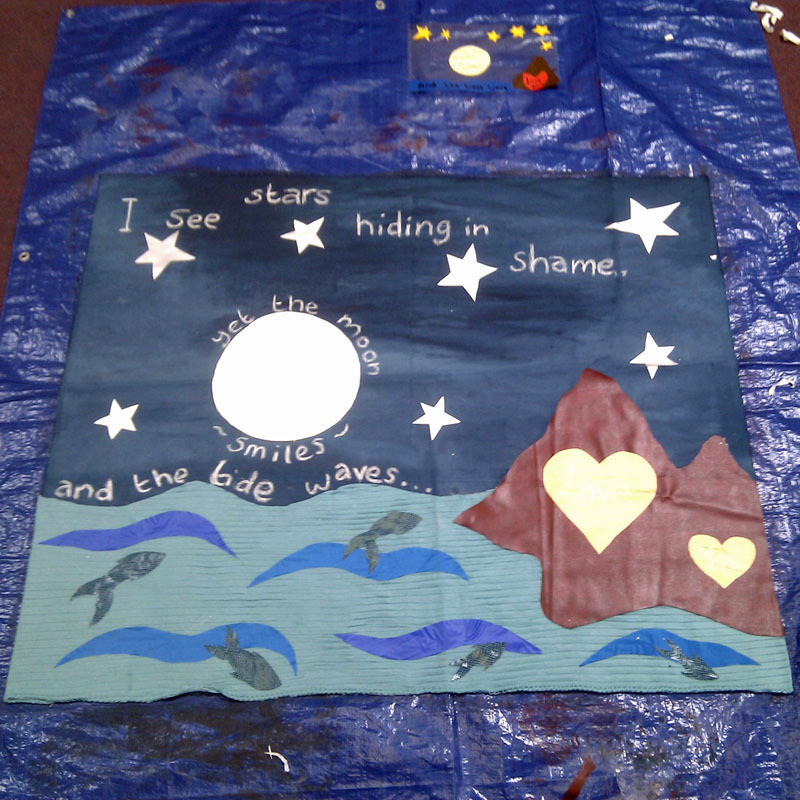 I worked with members of the youth teams to design and make banners for them to carry on the march.